Keynvor and Bian Mor are bright, airy barn conversions in a small farm complex which formerly belonged to the National Trust. The farmhouse dates from the 1650s and the barns from the 19th century, and were part of the Fox estate. 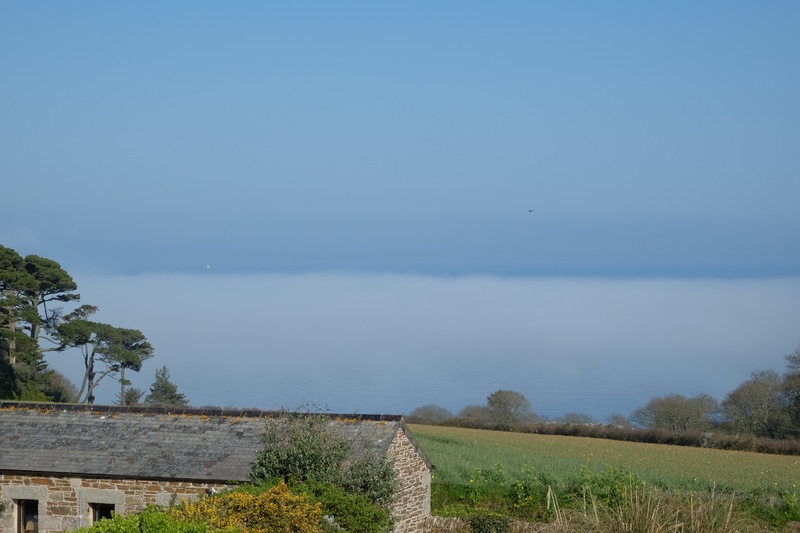 The south-facing garden affords fabulous ocean (and daffodil field) views, and is a sun trap when the weather co-operates. 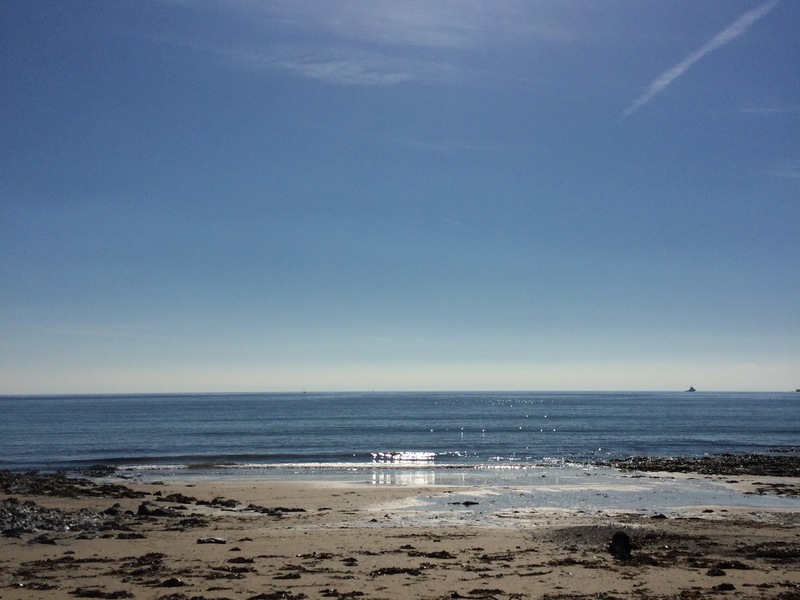 There is a gentle 10-15 minute walk through woodland to the nearest beach, which is on the South West Coast Path, and it is possible to walk to Falmouth or Helford Passage along the coast. Travel to the far south west or the north coast by car is straightforward, and there are local buses to Falmouth or Helston, and trains from Falmouth. There are a number of tourist attractions, including sub-tropical gardens, very close by. Keynvor was renovated in 2011 and sleeps 2 in a double bedroom which overlooks the garden. The combined kitchen and living area opens through French doors onto a small garden with views across Falmouth Bay. Bian Mor is a smaller barn, renovated in 2016, and sleeps 1-2 in studio-style accommodation. There is no separate bedroom, but the living area is spacious and efficiently designed, with a king-size bed. It would be ideally suited to single travellers looking for the freedom of self-catering accommodation. We have equipped the barns with everything necessary to make your stay as comfortable as possible, including TV, WiFi, cooker, microwave, fridge/freezer, coffee machine and washing machine. The bathrooms both have a shower, WC and sink unit. Please note that the two barns remain separate, each has its own outdoor area as well as the shared garden, and there is adequate parking for both. 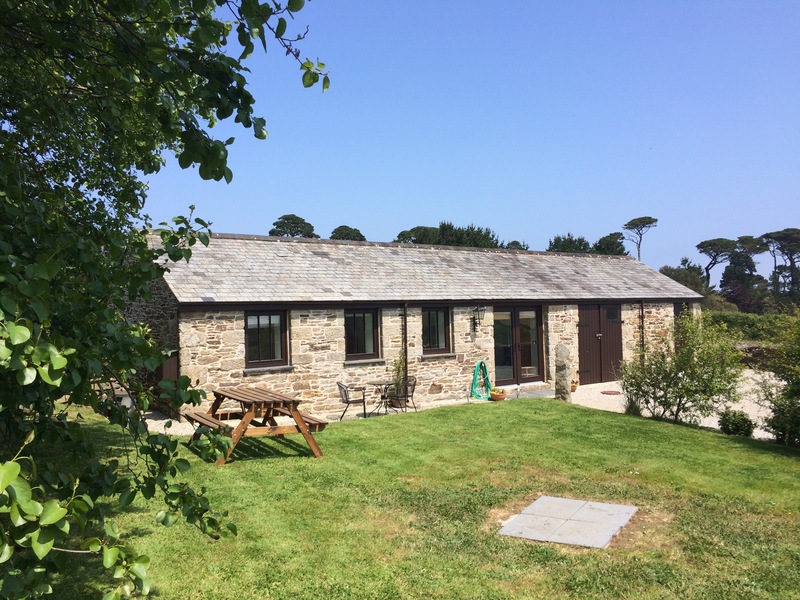 The National Trust also has a holiday property near the farmhouse, and the road between Falmouth and Mawnan Smith runs past the car parking area of the cottage; there is very little impact from these on Keynvor and Bian Mor. Beaches :: The nearest beach is a 10 minute walk : turn right out of the drive onto the road, then take the first gateway on the left (there is a stone stile) before Old Church Road. The footpath leads down to Bream Cove. Dogs are allowed all year round. Maenporth Beach is a 5 minute drive, turning left out of the driveway, or a 20-30 minute walk, taking the path to Bream Cove then turning left along the coast path. Dogs are allowed from October 1st – April 1st.